Now that fall has hit, has the warm weather knitting bug bitten you in a big way? We can fully understand this; it happens to us every single year and we start knitting sweaters, hats, and mittens for every single family member in our household, ourselves included. This year, however, we’ve been really enjoying knitting for the kids in our lives. We’ve made things for our own kids, our nieces and nephews, and even our friends’ kids and our kids’ friends. The projects are just so darling and small that we can whip them up faster, which lets us make even more things! 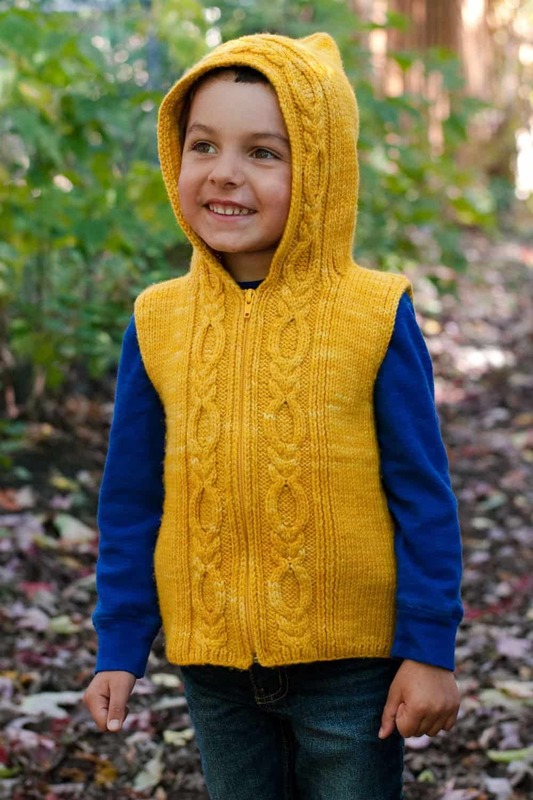 Just in case you’re as interested in knitting for the kids in your life this fall as we are, if not more, here are 15 of the very best and most adorable children’s knitting patterns that we’ve come across so far in our search for things to keep our needles moving all autumn long. If you’re going to knit something in a miniature size, would you prefer to challenge yourself and use that quicker knit as an opportunity to learn a new technique? Then maybe this is the perfect time to try your hand at the kind of stitching detail and colour work it takes to make a classic Icelandic sweater! 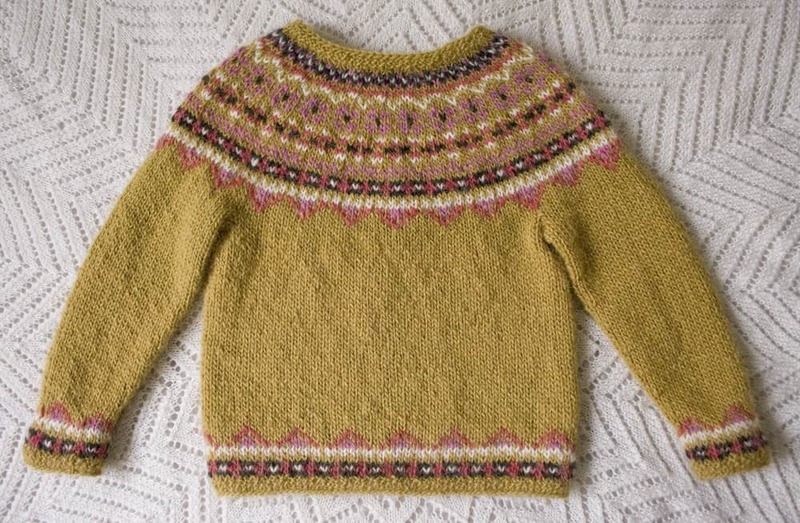 We’d suggest taking a look at this pattern from A Sunny Day in Reykjavik that will have you making a darling traditional pullover with wonderful detail no matter what colour combination you choose to knit it in. Have you actually been itching to knit something with a little more of an interesting stitch definition or textured patterning to it but you haven’t seen any adult patterns that have appealed to you in a long time? Then you’re in luck here with the kids’ patterns, because we think this totally funky “bubbled” style sweater might be just the kind of thing you’re looking for! Get the full details on Brought Up By Wolves. Perhaps you’re looking to make something even more miniature than the kids sweaters we’ve been talking about so far, so you’d rather look at knitted accessories instead? in that case, we’d definitely suggest taking a look at how Inma Gijon made these absolutely stunning little booties that featured a layered woven pattern all across the toes and the tops of the feet. 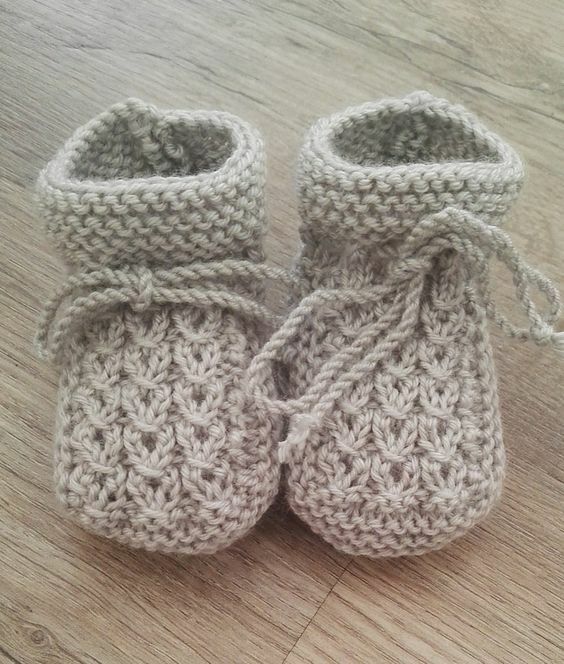 We’ve made these for just about every baby born around us since the pattern was published, if we’re being honest. 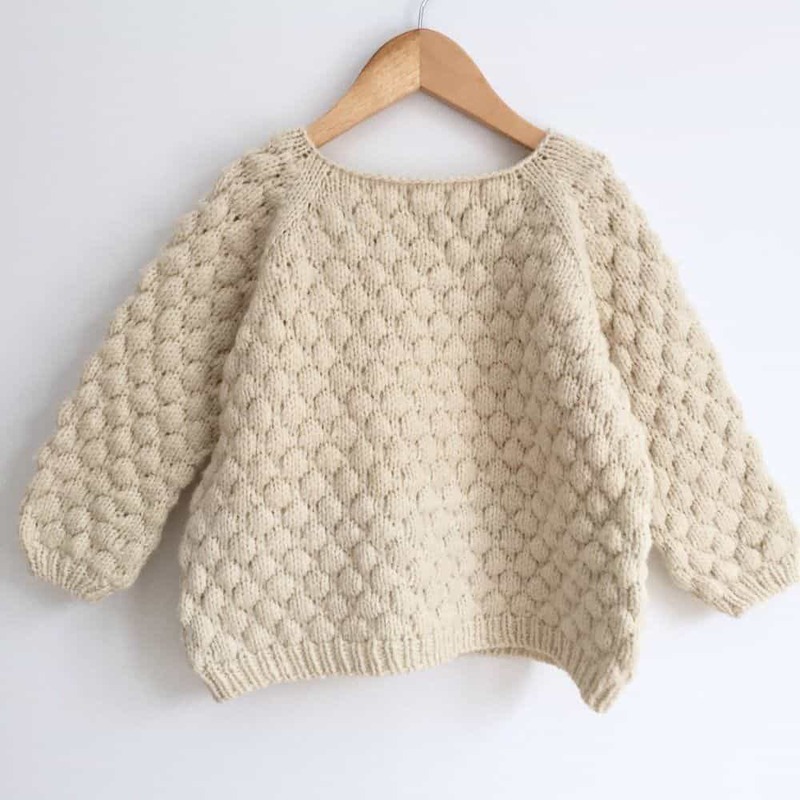 Are you definitely interested in making a sweater for one of the little kids in your life but you’ve always been much more a fan of knitting cardigans than pullovers? 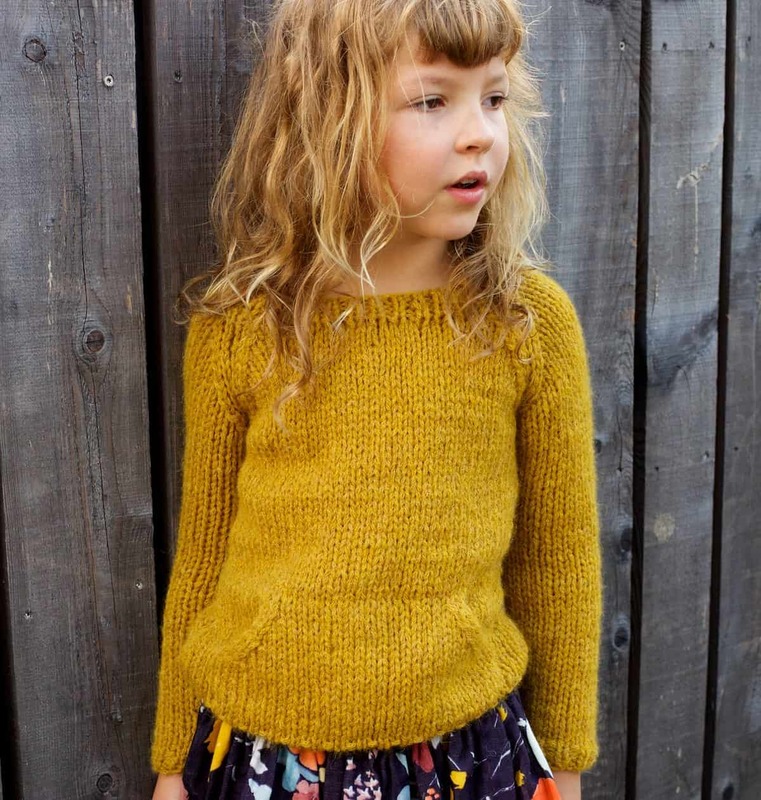 Then we simply must show you our current favourite kids’ cardigan pattern, written and published by Espace Tricot! We love the simple hood, the contrast between the stockinette body and the seed stitch border, the looped button holes, and the pom pom on the hood’s tip. There’s just so much to like here! If you’re going to knit lots of things for the little ones in your life, would you rather knit them all kinds of cool winter accessories to keep them warm once the warm weather arrives, but you’d like to make them things that they’ll actually want to wear, rather than leaving them in their lockers at school? 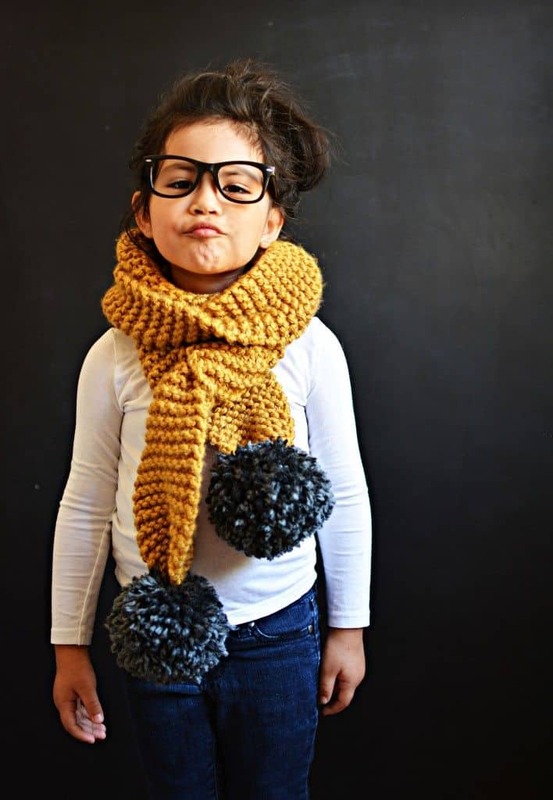 Then we definitely think you should take a look at the way Little Inspiration made this awesomely stylish chunky scarf with a jumbo pom pom on each end. We made our kids’ versions in neon colours because that’s what they’re totally obsessed with right now. 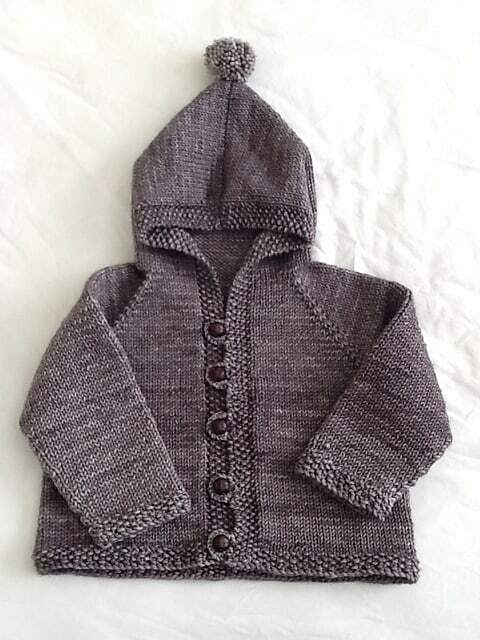 Were you a pretty big fan of the idea of making your kids knitted cardigans but you think you’d rather challenge yourself a little more than stockinette and seed stitch, even if you’d like to keep the hood? In that case, we think you should definitely take a look at the way Sweet Paprika Designs made this fantastic knitted hoodie that involves colour changes at the sleeve, cables down the front, and even a zipper! Don’t worry, their pattern includes full instructions for putting the zipper into your knitting, which we hadn’t ever done before until we tried this pattern either. It wasn’t as hard as it looks! Have you been scrolling through our list hoping to come across a slightly more unique pattern that’s a little more befitting of your littlest fashionista than a cardigan or a scarf? 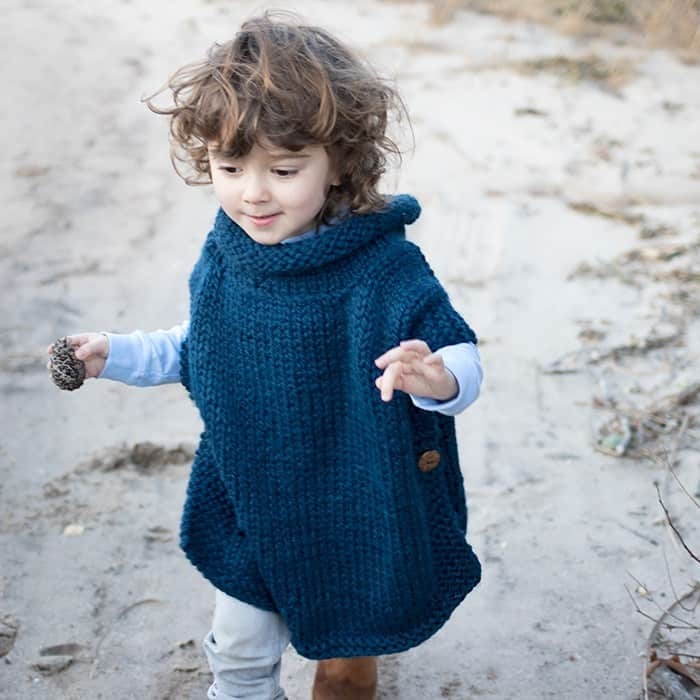 In that case, we think you should take a look at the way Gina Michelle made this darling turtleneck poncho! We can’t get over how cute the buttons all down the sides look. We’ve actually made this in a few different colours and changed up the style of the buttons on each one. If you’re going to make the kids something to keep them warm during the winter, would you rather try your hand at knitting sets of mittens? Well, that might not sound that interesting, since they’re quite simple to make, but that doesn’t mean there aren’t kids’ mitten patterns out there that will challenge you. 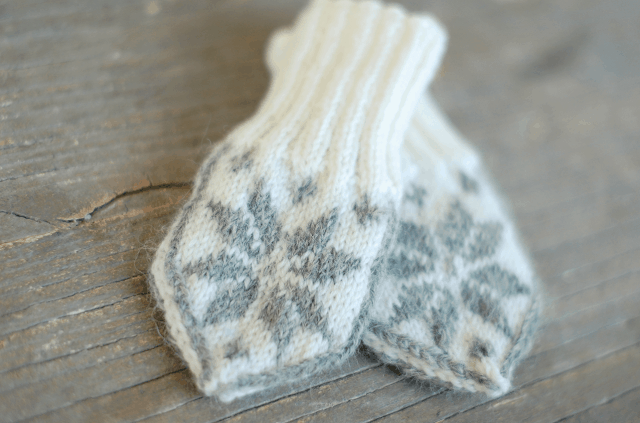 These lovely Nordic style mittens from Martii are the perfect example of what we mean. The colour work to make the Nordic stars is simple but just enough to keep you interested. Are you actually a little closer to the beginner side of the knitting scale, but you’re still intent on knitting your little one a sweater? Then we have a feeling you might get along a little better with this simply striped pullover than some of the things we’ve already shown you. Helena Krekling guides you through the process of knitting the yoke, splitting off for the sleeves, and striping your colours all throughout. Are you actually quite an experienced knitter so you’re looking for a slightly larger project that takes a little bit more skill in the realm of shaping and stitch definition? Then we’d definitely suggest taking a look at the way Paelas made a slightly more unique garment in the form of this beautiful little fall shorts jumper that looks great with colourful wool tights underneath. We love the way they matched the tie at the waist with the tights! Rather than learning about how to do colour striping within a simple kids’ pullover, would you rather challenge yourself in the form of adding a new construction element instead? Well, if kangaroo pockets are something you think your kids could use because they’re always carrying toys and trinkets around with them, then we’d definitely encourage you to take a look at the way Compagnie M knit this sweater with raglan sleeves that features a simple pocket across the front. Like most knitters, we have knit many a sock in our time. We’ve knit them in all different sizes and styles but, weirdly enough, we’ve actually mostly done adult socks. That’s why we decided that trying our hand at littler sizes this fall was a neat, quick idea! 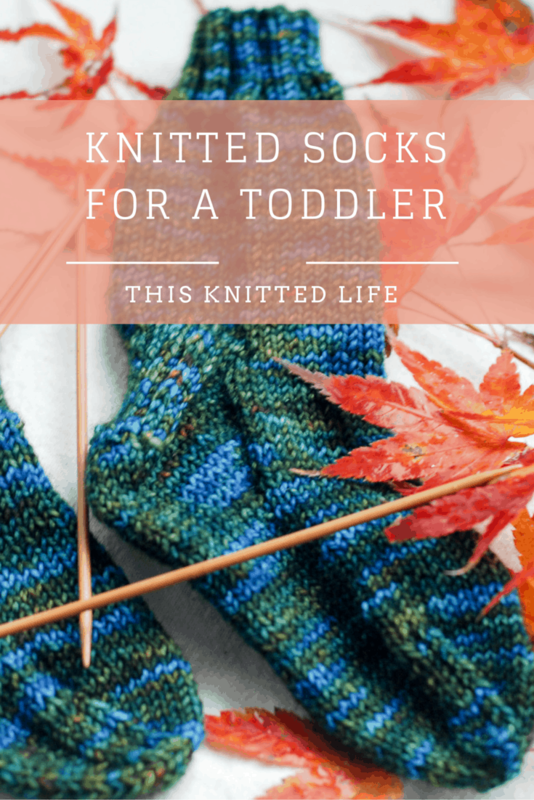 We’ve been following this simple pattern from This Knitted Life to knit our own kids’ and all our friends’ kids super warm socks to keep their tootsies warm as the warm weather comes closer. Do you actually find that your little ones have some trouble keeping their scarves looped around their necks on the playground because they do so much running around, so you’ve been hoping to make them something that won’t just hang end up trailing behind them in the slush and snow and probably tripping them rather than keeping them warm? 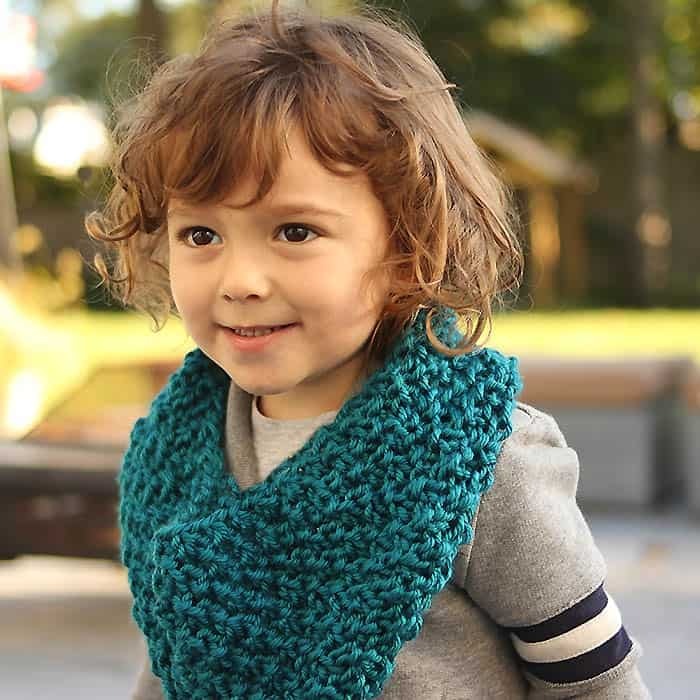 In that case, we’d definitely suggest taking a look at how Gina Michele made this adorable kids’ sized seed stitch cowl that fits kids of several different ages. 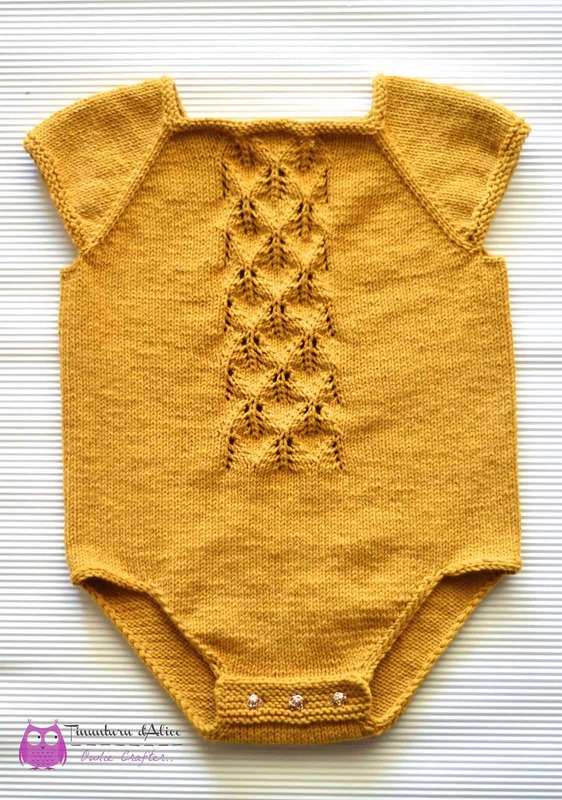 Were you pretty intrigued by the idea of making one of your kids a knitted onesie, but you had more of a classic baby’s style in mind rather than the jumper style we showed you earlier on our list that was meant for a slightly older child? Then we think you’d much prefer to follow this adorable buttoned onesie that has a very simple lace pattern right down the front at the chest. Get the full details for making one in whatever colour you choose on CJ Alice Jomes. If you’re going to knit for the kids in your life this fall, would you rather make things that are a little more cutesy and novelty than some of what you’ve seen so far? We can understand that because we think a lot about how our kids will only be little for so long, which means we only have a certain number of years to dress them in funny, silly things until they get old enough to refuse to wear what we pick out for them. 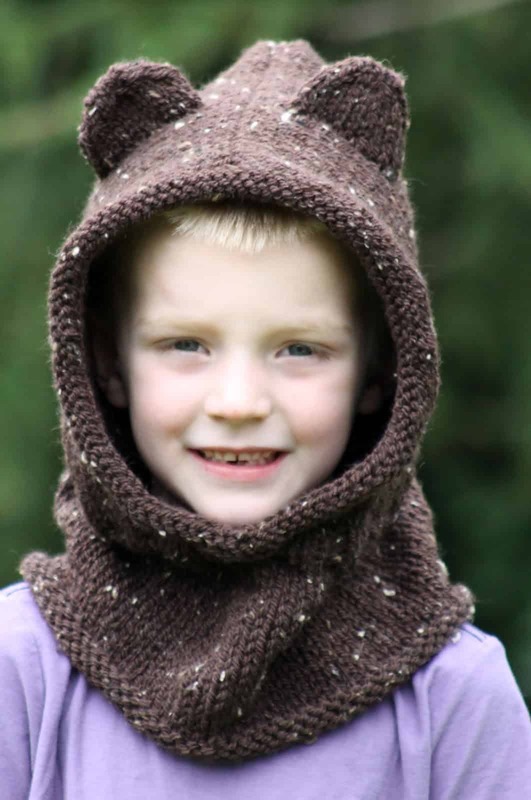 That’s why we’ve made sure to whip up a few of these completely cute teddy bear hoods outlined step by step on Balls to The Walls Knits. Do you have another fall knitting pattern that’s an absolute favourite of yours, and that you’ve made several times already and been very happy with? Tell us all about how it’s done or link us to the pattern in the comments section so we can all try it out too!